What is a dual beam transducer? What is a dual frequency transducer? What is a side imaging transducer? A transducer is a device that converts an electrical energy signal into an acoustic sound signal which then sends this signal to a target and then receives it back again. It works similar to a microphone converting sound into an electrical signal and delivering the energy to the speakers. Electricity from the fishfinder is applied to the transducer which then sends out an acoustic signal (sound waves) through the water. 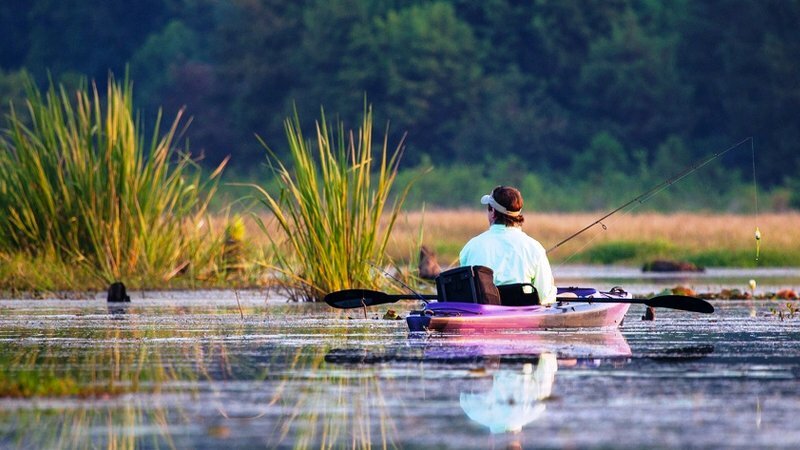 The transducer then receives the reflected echoes that the sounds waves encounter and they are sent as an electrical signal to your fish finder. The fishfinder then interprets this signal into an understandable visual element on the screen. A transducer will need to be installed on your boat in the most appropriate, convenient and effective position possible. There are 3 main transducer types available for varying circumstances and boat types, the most common one being the transom mount. Other transducer types are through-hull and in-hull (or shoot-through). A thru-hull transducer will need to be inserted into a hole in the hull of your boat requiring more skilled and careful fitting than the simpler transom mount option. An in-hull transducer can be fitted on the inside of the hull of the boat. Only fiberglass hulls are appropriate as wood, aluminum or steel hulls stop the acoustic signals penetrating through. The sound wave required to send the signal from the transducer is created from a physical piezoceramic disc device called the element. When the voltage is applied, the element vibrates rapidly and distorts and reforms its shape in rapid succession. The vibration creates compression waves or acoustic energy at a specific frequency which make the sound waves. The sound waves are pushed out in a cone-shaped pattern encountering targets and objects along its path. While the acoustic waves encounter targets such as fish, rocks, bottom structure etc., some of the beams get absorbed by these objects, some of it gets echoed back to the transducer and the remaining beam gets scattered. The resulting returns to the transducer cause a tiny distortion in the shape of the crystal. The crystals distortion then creates a small fluctuation of voltage which is then processed by the fishfinder and translated into an image on the screen. Some transducers contain multiple elements (see above diagram) which vibrate at different frequencies. This is often also referred to as dual frequency which contains two elements that vibrate at 50khz for deep water and 200khz for shallow water. The beamwidth on a transducer is the angle of the sound wave being sent down through the water – rather like a flashlight torch beam. The narrower the beam, therefore, the greater the energy and detail on the designated target, but, in fact, the less power required to send the beam. The wider beam requires more energy to send but can scan a much wider area than the narrower beam. A dual beam transducer is therefore capable of either narrow or wide angles which are usually selectable. When a wide beam has selected the frequency used on the transducer will be lower (around 50khz). The wide beam is best suited to deep water because water absorbs sound waves at a slower rate for low frequencies and the signal can travel further before becoming too weak to use. Because the angle of the beam is wider at low frequencies, the sound wave sent out is spread out more and so, therefore, more suited to a large viewing area under the boat. The downside of this, however, is that targets will have a lower definition and the returns will be more susceptible to noise. So although low frequencies can see deeper, they may not give you a clear picture of the bottom levels. The narrower beam will use a higher frequency (around 200khz) and is better suited for shallow water – roughly be speaking up to around 200 feet. You will get a more accurate reading using 200khz at a faster speed. Higher frequencies give you better detail for detecting smaller objects but over a smaller area of water. High frequencies also show the targets with better definition, showing less noise and less unwanted echo returns. A dual frequency transducer or even multiple frequency transducers is one that contains 2 or more elements. The multiple elements are capable of running simultaneously so that you can get multiple returns at the same time. The Garmin 400c, for example, has a dual frequency transducer that contains 2 elements that can run at 50khz and 200khz at the same time. The two returns are displayed on a split-screen display so you are able to see both the narrow (200khz) and wide beam (50khz) together. 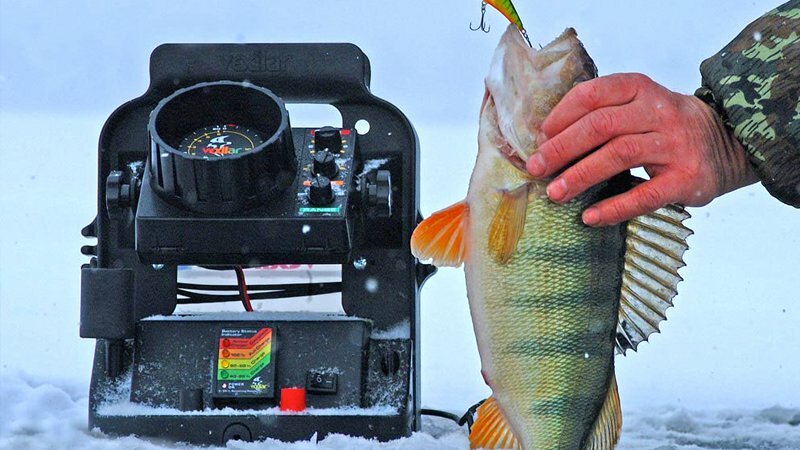 Some of the latest modern fishfinders use side imaging sonar technology. Side imaging is a sonar technology where the transducer sonar scans with very wide and thin beams to cover a large area of the left and right side of the boat. Aside imaging transducer must be mounted on the boat where there is nothing obstructing the ‘view’ of the side looking beams. For the side beams to work correctly the transducer needs to be mounted looking straight down into the water. 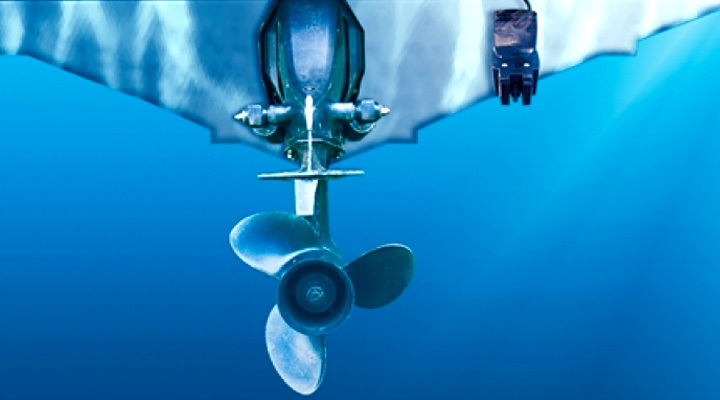 Often you may need to tilt your outboard motor up for best viewing performance for the side imaging transducer if the motor sits close to your transom. Brocraft Universal Portable Transducer Bracket + Fishfinder Mount. 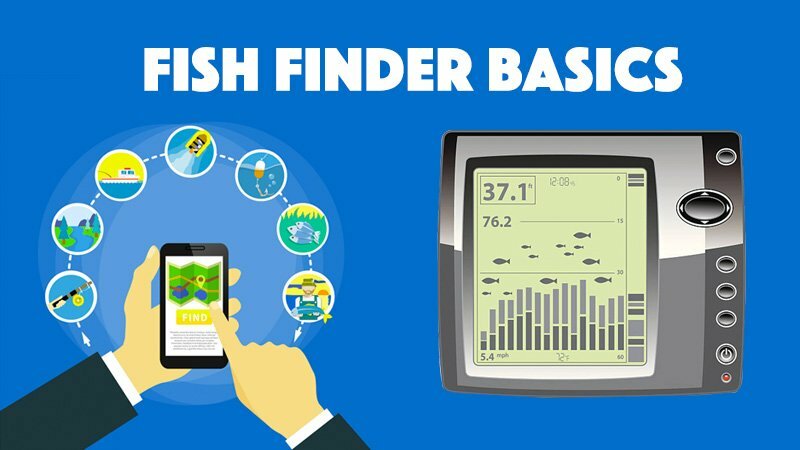 What Exactly is a Fish Finder ?